Dano Group is a leader in the supply, promotion and distribution of quality paper bags and ancillary products for lawn & garden, marine, commercial and general household use. 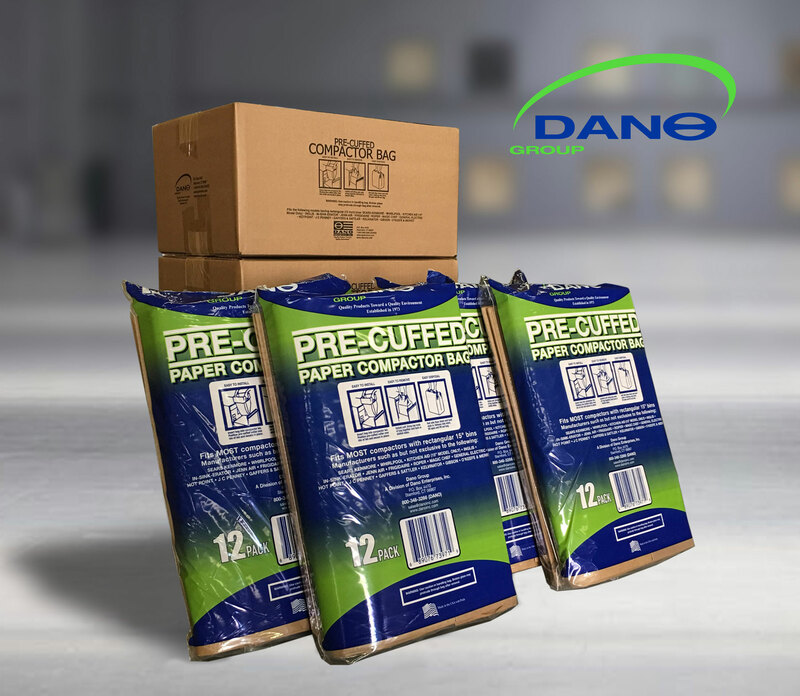 Dano is also proud to carry a wide array of specialty lines including high quality household trash and compactor bags, as well as a full line of kraft evidence bags. 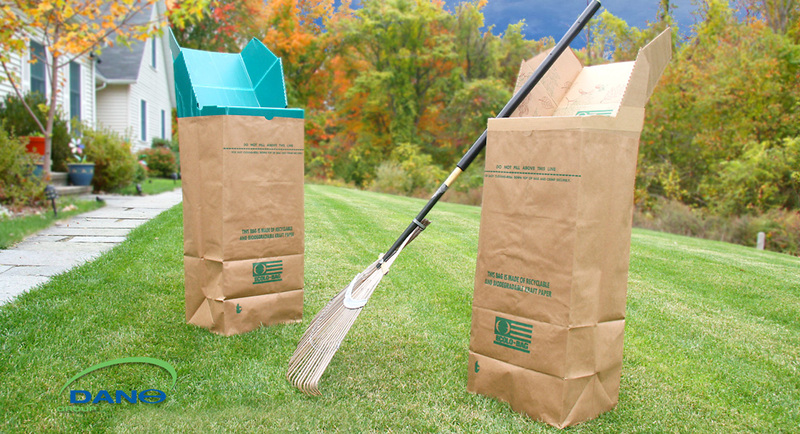 Our 4 to 5 mil premium grade polyethylene bags are distributed nationwide via UPS . Make your bag stand out from the pack. Use your bag as a marketing tool. Custom logo printing is available on all Ecolo-Bags using your own logo and layout. The front, back or even the sides can be printed using a choice of colors. Custom printing is available. Minimum order of 72K bags. 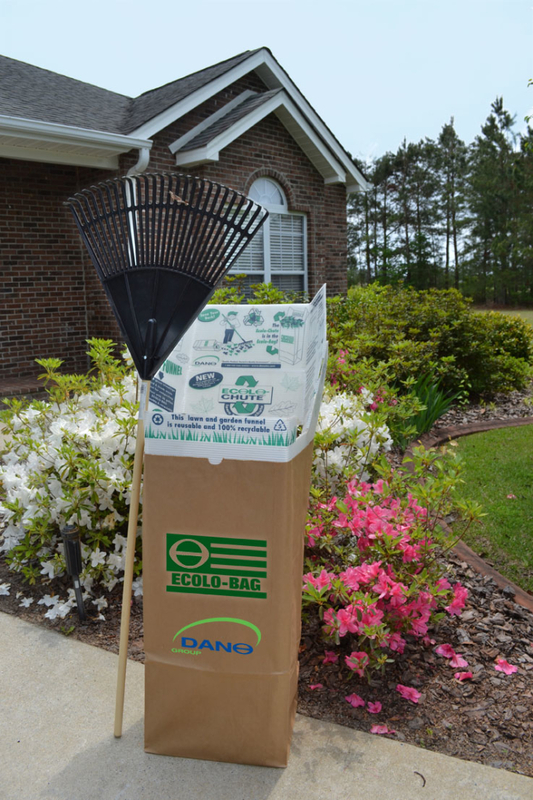 Dano’s line of pre-cuffed bags are used for 15″ bin kitchen household compactors. 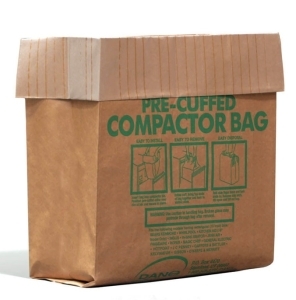 These pre-cuffed paper/plastic bags fit GE model compactors with rectangular containers. 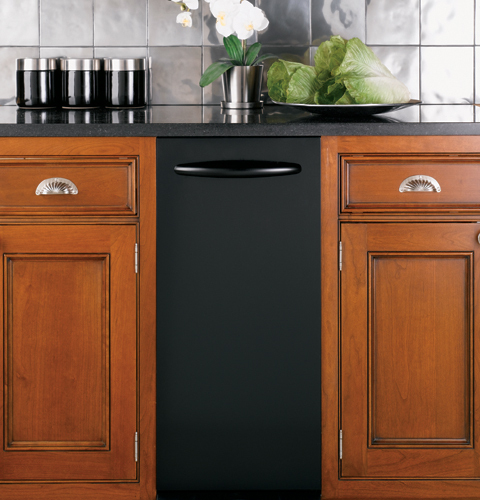 Also fits other leading brands, including Sears, Whirlpool and JC Penney. Our compactor bags are made in the USA with pride. Free shipping with a year’s supply!